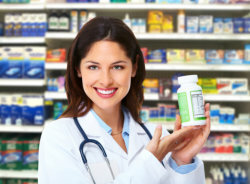 HCP Pharmacy, which stands for Health Care Partners Pharmacy, is owned and operated by pharmacists. Our pharmacists come from diverse backgrounds with Retail, PBM, and Specialty Pharmacy experience who are trained in fertility, end-stage renal disease, neuroscience, diabetes, and immunizations, just to name a few. We understand the importance of quality health care and are committed to offering service excellence by providing patient-focused pharmaceutical care in collaboration with other health care providers. HCP Pharmacy is dedicated to improving patients’ lives by promoting wellness, providing optimal care through comprehensive services, and creating better patient-provider relationships. To learn more about the different services we provide, contact us at 877-219-6399.